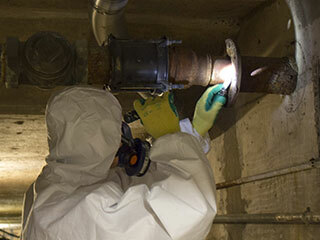 HSE-licensed asbestos removal, remediation and disposal. 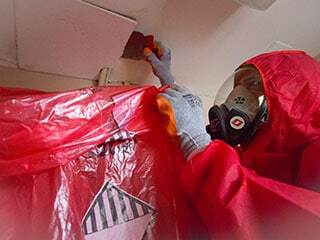 We offer you the most cost-effective, fast, safe and quality-driven asbestos removal services available. You will have the best, most highly-trained team to deliver your project – on time and on budget. See how we can help you! All survey types and testing, delivered to you when you need it. We offer you fully-compliant and insured information – allowing you to effectively manage your asbestos. You will have fully-trained, certified and highly-experienced asbestos surveying consultants helping you achieve your desired outcome. If you need any type of asbestos survey, inspection or testing, we have the solution you need. Find out what we can do for you! HSE-recognised, UKATA-certified asbestos training for you and your team. We deliver every type of asbestos course you will ever need – including bespoke training courses relevant to your organisation. Find out how we can help you by delivering the training you need! Managing your asbestos may be a long or short-term requirement. You can rest easy knowing that we understand, and we’re experts in legal compliance when it comes to asbestos management. We will walk you through the asbestos management process, and put together the right management plan for your specific needs. We are here to help you – so call us now to find out more! 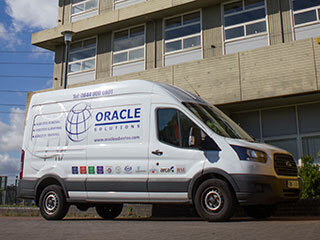 Oracle Solutions are fully licensed, accredited, certified and insured – and we work tirelessly to deliver the best service for absolutely anything asbestos! In 2008, several of the best asbestos experts in the UK teamed up to offer a truly bespoke all-encompassing asbestos service. Since then Oracle Solutions have gone from strength to strength – working nationwide and growing into an award winning, licensed, accredited and trusted organisation for every asbestos requirement. Oracle Solutions have a deep and ingrained culture which is led from the top of the organisation through to every level. 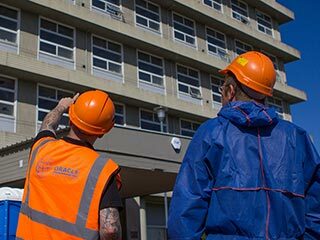 The main focus of our culture is to ensure ultimate customer satisfaction through the delivery of cost effective, safe, quality and fast asbestos services. How do we do this? Through a deep commitment to be the best, and by ensuring we have the most professional and knowledgeable team. Oracle Solutions actively promote continual improvement throughout the company. To help us achieve this we are HSE-licensed and we’re accredited to many quality-driven professional bodies. At Oracle Solutions, we understand the needs of our customers and we realise that every customer is different. This is why every service we offer is specifically tailored to meet your individual requirements. To help deliver the best service for our clients, we offer a truly nationwide service. We have all areas of the UK covered by strategically placed team members. From our Kettering head office, we are ideally-placed to offer a complete asbestos surveys, removal and asbestos management service to clients in Northampton, Birmingham and Nottingham in the Midlands – but we also cover the East of England (including Norwich and Peterborough), the West (including Bristol, Exeter and Plymouth), and the South (including London, Milton Keynes, Southampton and Portsmouth). We also have a North West office based in Warrington – from here, we offer all our asbestos services to clients in the North West (including Liverpool, Bradford and Leeds), the North East (including Grimsby, Lincoln, York and Newcastle), Wales (including Newport, Cardiff and Swansea) and Scotland (including Glasgow, Edinburgh and Aberdeen).